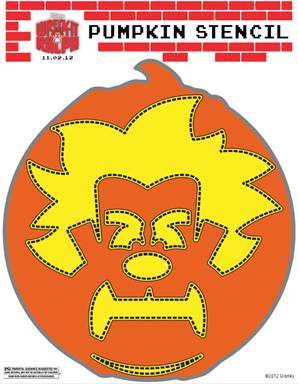 Free Halloween Activities From Disney's "Wreck-It Ralph"
Fun Halloween activities from Disney’s Wreck-It Ralph. 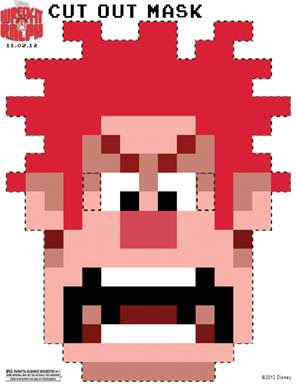 Here are a few free printable Halloween activities from Wreck-It Ralph. Click each image for a larger, printable version. If you were waiting until today to carve up your pumpkin, you’re in luck! This Wreck-It Ralph would make for a smashing jack o’lantern. And there are two more free printable Halloween masks for you. Add them to your Frankenweenie mask stash and the kiddos will always have an alter ego for pretend play even after Halloween is over. Click here to print Van’s ponytail to complete the look. You can also play the games from the Wreck-It Ralph movie. 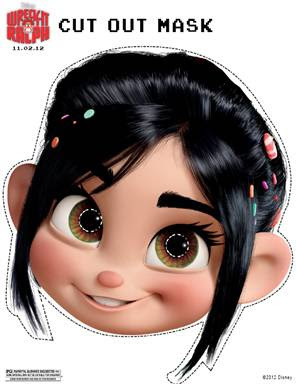 In between Trick or Treaters why don’t you check out Fix-It Felix, Jr. (featuring Wreck-It Ralph), Sugar Rush Speedway (featuring Vanellope von Schweetz) and Hero’s Duty (featuring Sergeant Calhoun). Last Minute Costumes: Printable Halloween Masks From Disney’s “Frankenweenie”! Happy Halloween From Disney’s Wreck-It Ralph!